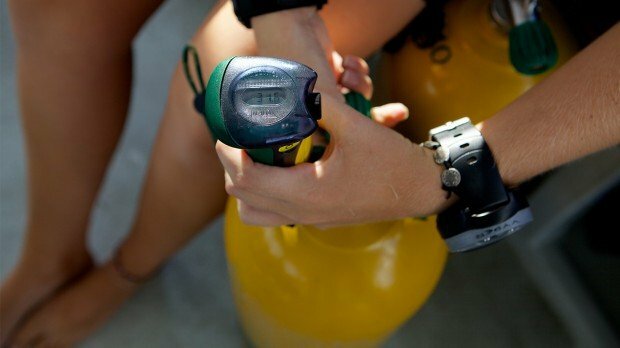 When on the dive boats it’s difficult not to notice some of the divers using different tanks, testing the contents before setting up their equipment or simply staying at depth when other divers computers indicate it’s time to head for the shallows… one might wonder why… the answer is Nitrox. Nitrox is the term commonly used for ‘Enriched Air Nitrox’ and it refers to any gas mixture composed of nitrogen and oxygen, it is also called EANx. The air breathed at atmospheric pressure, or the surface at sea level, consists of approximately 78% nitrogen, 21% oxygen and 1% other gases; divers using Nitrox have a greater percentage of oxygen and smaller percentage of nitrogen. The most common Nitrox blend used at Prodivers consists of 68% nitrogen and 32% oxygen. At an early stage in a diver’s training he or she learns that nitrogen is the ‘bad gas’ – the reason (along with diver error) for decompression sickness and the reason bottom times are so limited – and if nitrogen is stealing the fun, it makes sense to steal the nitrogen! 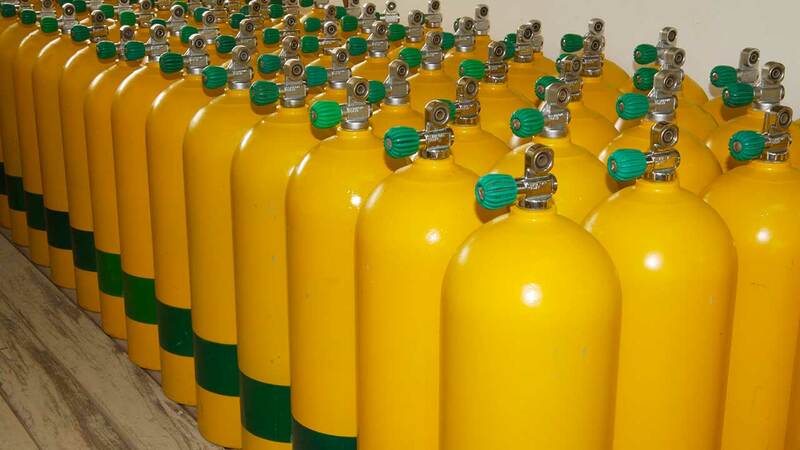 By replacing some of the nitrogen with oxygen less nitrogen can enter a diver’s body during the dive, reducing the risk of decompression sickness. Surface intervals can be shorter between repetitive dives and bottom time can be extended. With such advantages, it is no wonder that the PADI Enriched Air Diver course is the most popular specialty with divers at Prodivers. 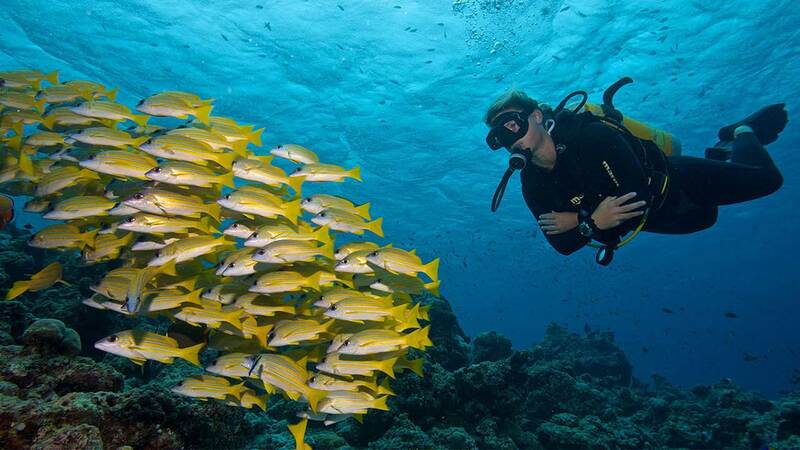 The course will take up approximately 2 hours but the rewards will be reaped every time you dive with Nitrox. An added bonus is that at Prodivers there is no extra charge for diving with nitrox once a diver is qualified – we’d like every diver to reduce the nitrogen risk. If you would like to find out more about diving with nitrox, or about the course for your upcoming visit, please contact our team by clicking the button below.